I lodged a police report today on an exposé made by the DC Leaks not too long ago. Although I know that the police has begun an investigation into the links, I saw a similar pattern that needs to be investigated. The report among others is to look into the authenticity of the document as well as to enable the police to see the similar patterns and tie them together. With the help of a good journalist friend we had some journalists covering the ‘event’ and we were fair as we allowed representation from whichever side of the fence to ask questions. 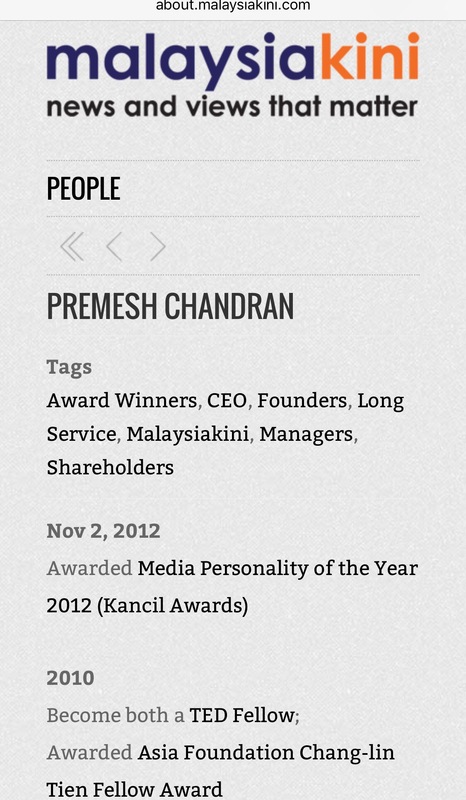 In DC Leaks (photo at the top), there was an internal OSF document where Premesh Chandran was listed as the Chairman of the advisory committee for Malaysia to OSF. 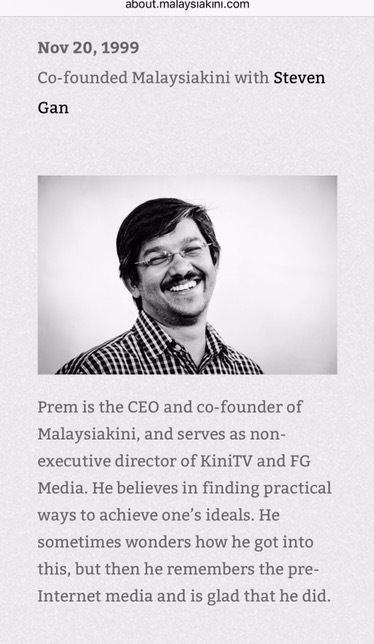 Premesh is the co-founder and current CEO of online portal Malaysiakini. His name appearing in the OSF document suggests that he is, at the time of the document being published, colluding with Soros to bring about a forced and undemocratic change of government. The document’s title is Shared Frameworks Proposed Contributions to 2014-2017 Strategies. Obviously funds are still coming in to effect change in Malaysia as the previous general elections was in 2013. 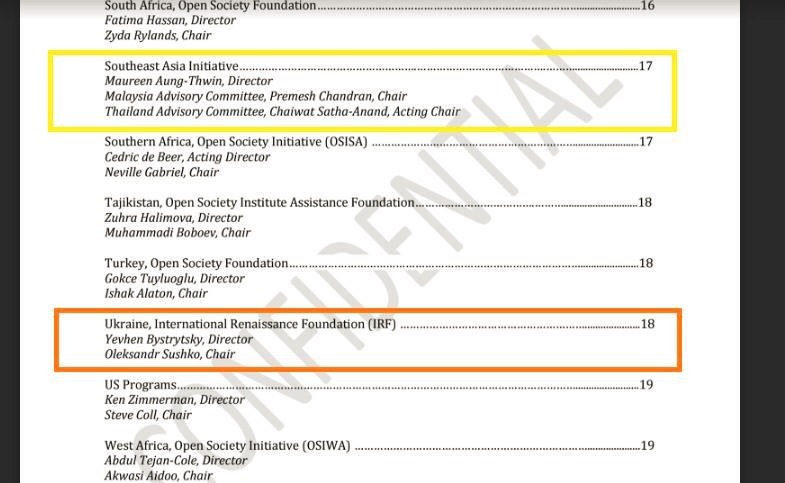 OSF documents also show that they admit funding and controlling the International Renaissance Front (IRF) based in Kiev, the capital of Ukraine, which is acknowledged as the key mover to Ukraine’s bloody 2014 revolution. The 2014 revolution led to hundreds of deaths and missing people in the rallies and led to civil war and breakup of Ukraine – which has killed another 8,000 people and still continuing. This Ukraine was also led to the shooting down of our MH17. 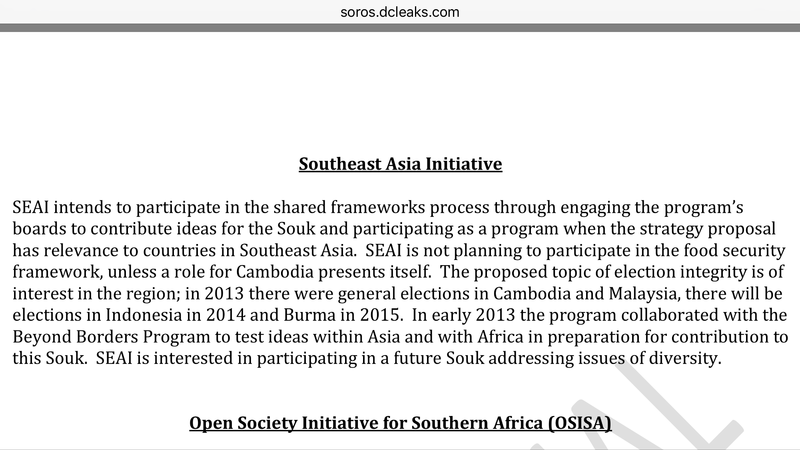 In that same document, it stated that in Malaysia, the Chair of the OSF advisory committee is the founder of MalaysiaKini (which OSF indirectly owns and control 29% shares). Interestingly, YM Tunku Abdul Aziz also pointed out that the Red Bean Army is also funded by foreigners. Tunku Aziz, who was DAP national vice-chairman from August 2008 until he resigned in disgust in May 2012 would certainly have detailed inside information of DAP and their RBA. The DAP has always disassociated itself from the RBA. However, Wechat or whatsapp voice chat admission supposedly from the Kedah DAP Youth Chief Tan Jia Hao (JH Tan) shows an admission that the Red Bean Army (RBA) cybertroopers are indeed DAP and Pakatan’s troops on social media for the purpose of attacking BN supporters which they call Chow Kows or running dogs and will not attack their own people. 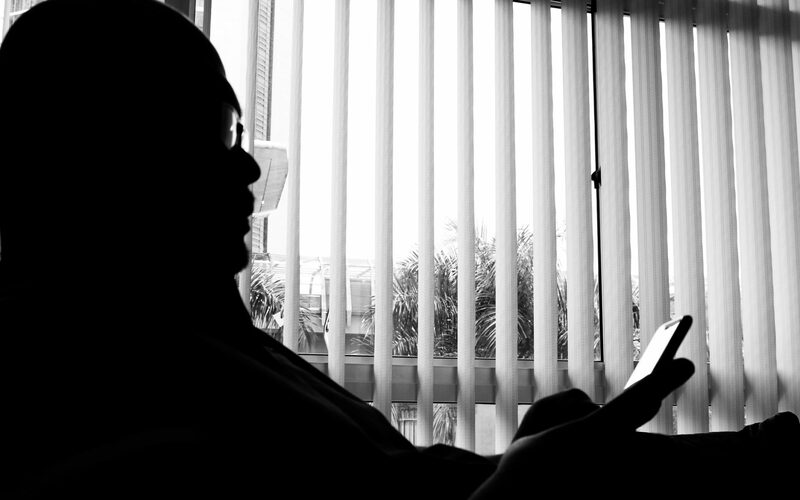 The conversation seems to be about Mr Tan clarifying to his friend on why a certain person was attacked by the RBA recently – where he claims that the RBA has caused great harm to that person. To be fair to all parties, it is imperative that the police probe and investigate these links. Let me say this: if it is change that you want, do so in a democratic manner. The last thing you should do is to support organisations that are themselves the Chow Kow for foreigners. That if true, in my opinion, is bordering treason. And I shall not stand and watch my country get run by puppets of foreign powers.